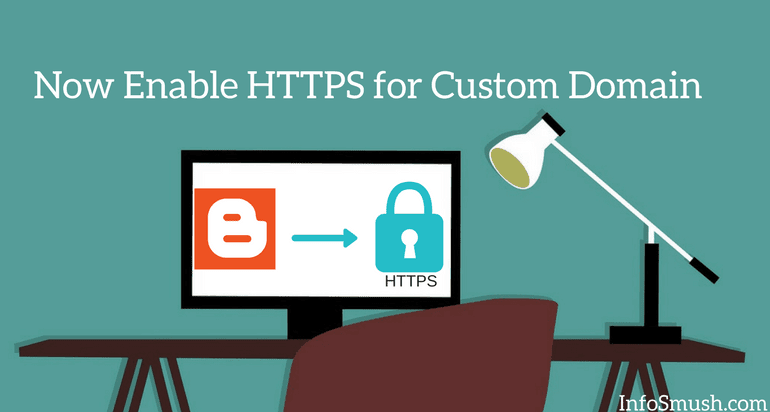 Earlier Blogger only allowed Https redirect for sub-domains(abs.blogspot.com) but now you can enable this feature for your custom domain and make it more secure for your visitors. So, What is HTTPS & What does it Do? Hyper Text Transfer Protocol Secure (HTTPS) provides secure communication over a network or in other words between your blog and the visitor's device. HTTPS forces all communications to be encrypted by TLS(Transport Layer Security) or SSL(Secure Sockets Layer) protocols. This protects the visitors from man-in-the-middle attacks, eavesdropping and tampering of the communication. 2. Scroll down and select HTTPS availability as Yes. Wait until the HTTPS Availability is processed. It takes 4-7 minutes. 3. After the processing is complete HTTPS redirect will be available. Select "YES"
Important: Update your link in the Custom Robots.txt file(if you have it enabled), Search Console, AdSense and every other place.